Ceviche [say-vee-chay] is a celebrated seafood dish popular in Central and South America. In our house, the ceviche of choice is traditional Peruvian ceviche. Fun fact: In Peru, there is actually a national holiday in honor of ceviche. The dish is typically made from fresh raw fish – we like white fish such as black grouper, red snapper or corvina (easy to get fresh from the lovely Gulf of Mexico) – cured in lime juice and spiced with diced habanero peppers or a pepper paste, such as aji amarillo or rocoto (you can find these at a Latin market). We like to mix in thinly sliced red onions, chopped cilantro, salt and pepper for extra depth of flavor. I like to use rocoto and aji amarillo pastes, garlic, salt, pepper and maybe a pinch of ginger. Ceviche is usually accompanied by side dishes that complement its flavors, such as sweet potato, lettuce, corn, avocado or plantain. *Note: The acid in the lime juice ‘cooks’ the fish; however, as the dish is not cooked with heat, it must be prepared fresh to minimize the risk of food poisoning. 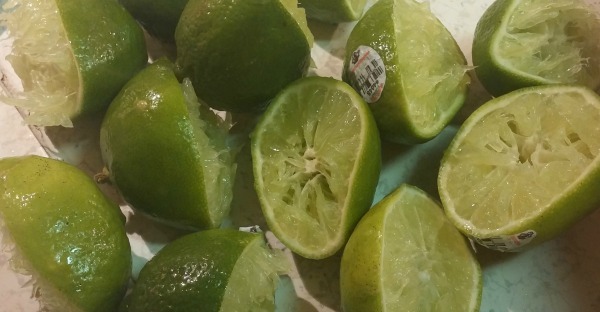 Tip: squeeze ALMOST all of the juice of the lime out; if you try to get every last drop, it could get bitter. You could always make a reservation at one of our fantastic Peruvian restaurants here in Sarasota, where you’d spend around $15 for an order of ceviche. For just about the same amount (depending on what fish you use) you could make this authentic dish in your own kitchen and feed you and your significant other – plus it’s fun, incredibly healthy and customizable! 2. 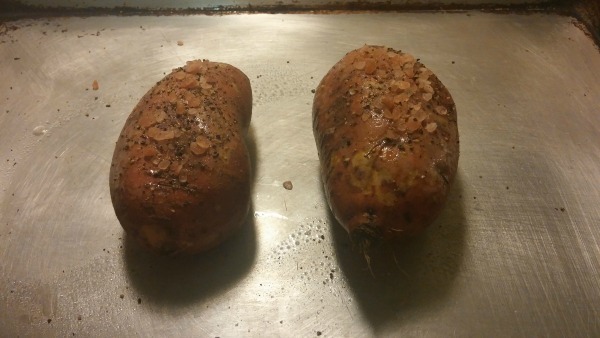 Spray your sweet potatoes with cooking spray – this is just to make the salt stick. 3. Sprinkle sea salt over your potatoes and pop them into the oven. They will take roughly 45 minutes to an hour to cook. 4. Meanwhile, cut your fish into cubes (1 inch-ish). Coat with pepper paste, salt and pepper. Set aside for now. 5. Put your sliced red onion into a large mixing bowl. Cover with cold water and add about a half teaspoon of salt and swish together. Drain. 6. 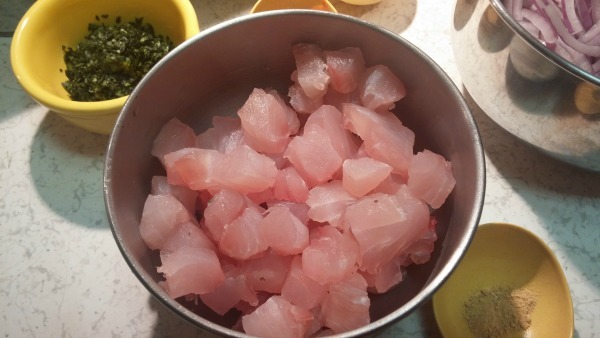 Add chopped cilantro to fish and mix together. 7. 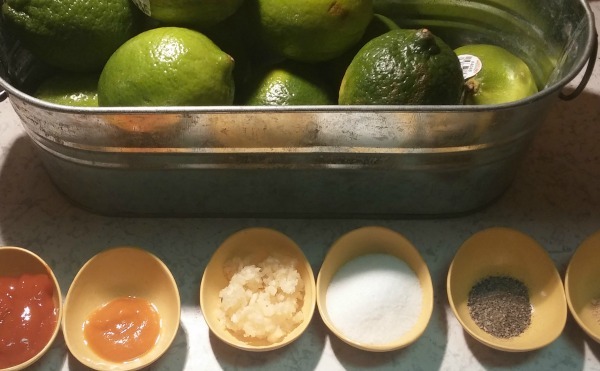 Begin to squeeze the limes over the fish, mixing well between each lime. 8. Add your spices and onions. 9. Taste test! If you are satisfied with the flavor, cover bowl with plastic wrap and let rest for a few minutes while your sweet potatoes finish cooking. 10. Pull your sweet potatoes out of the oven. Make a slice along the length of each potato and open them up, or just slice into rounds. 11. Plate your ceviche and potatoes. You can use any utensils you want, but personally, I think chopsticks make things more fun. Top with additional onions and cilantro, if desired.